This last months had been really busy for me with all the parties, crafts and orders. 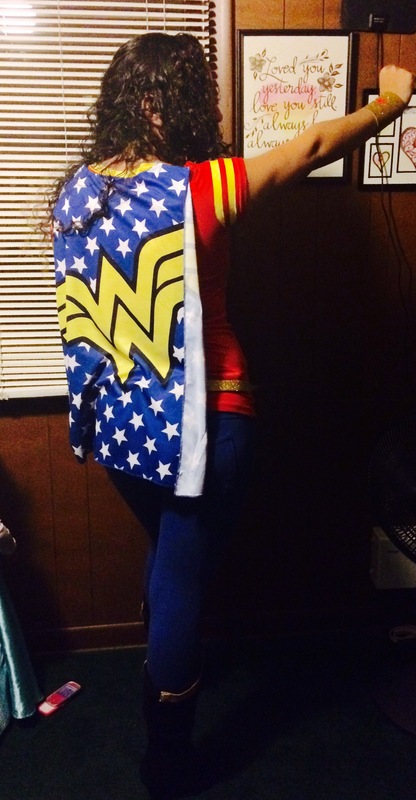 Because of that I didn’t have the chance to buy or make me a costume for Halloween Day. 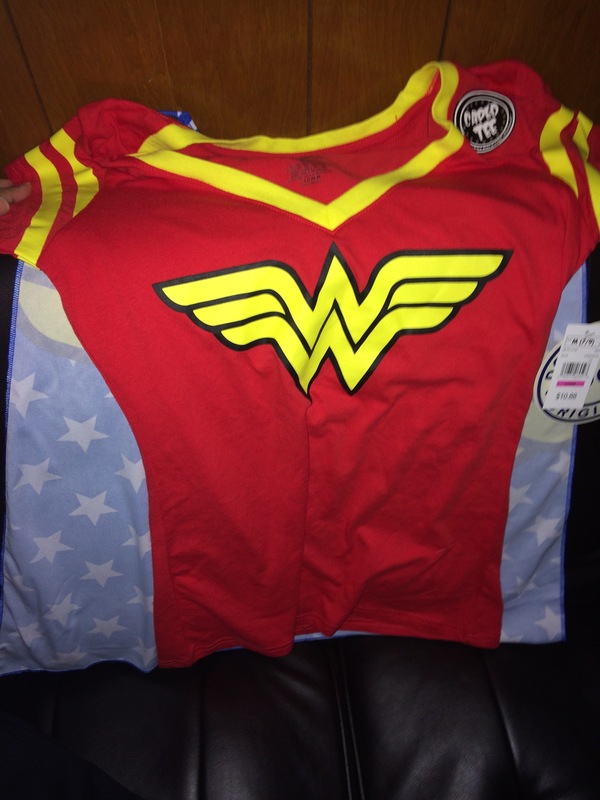 One day walking in a store looking for some material for a cake, I found a Wonder Woman caped shirt and I felt I had to buy it. At least I would have something to wear for Halloween. I also bought a Deadpool jacket for my husband, and my daughter already had her Elsa costume that she wanted to wear for the 100th time lol. 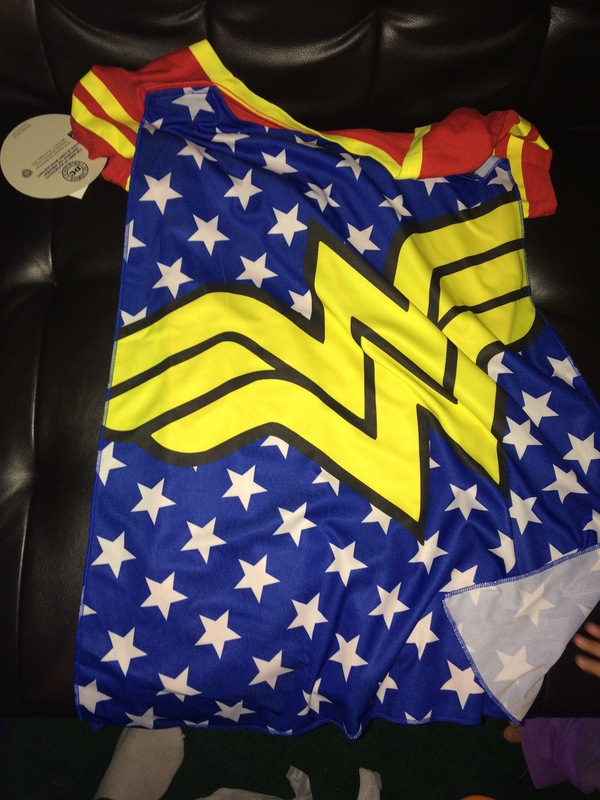 Anyway… After buying that Wonder Woman shirt, I felt that I needed some accesories, so I research some ideas, but they were difficult and expensive. So, I got the idea, but used other materials. The best part is that it took me less than 1/2 and hour to make them. 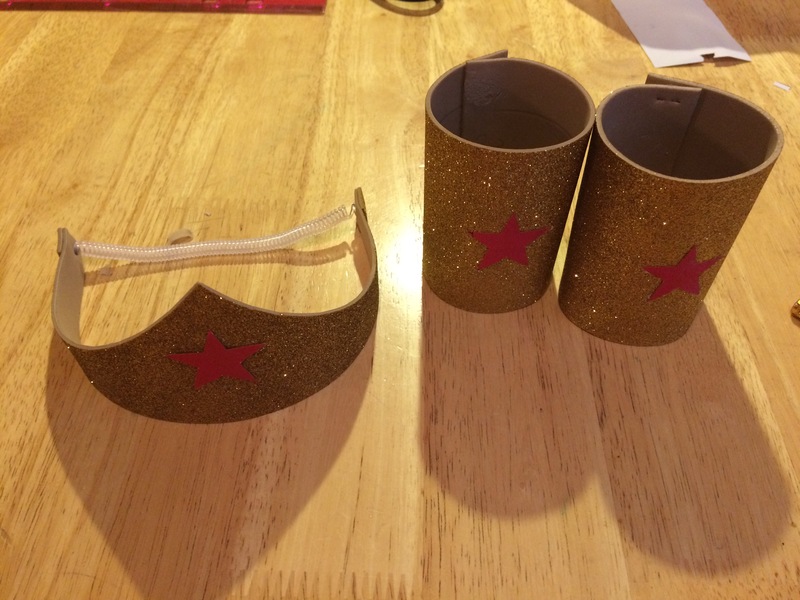 The idea was to make just the tiara and bracelets, but I ended up doing the belt and boot covers too! Now, let’s see how to make them. 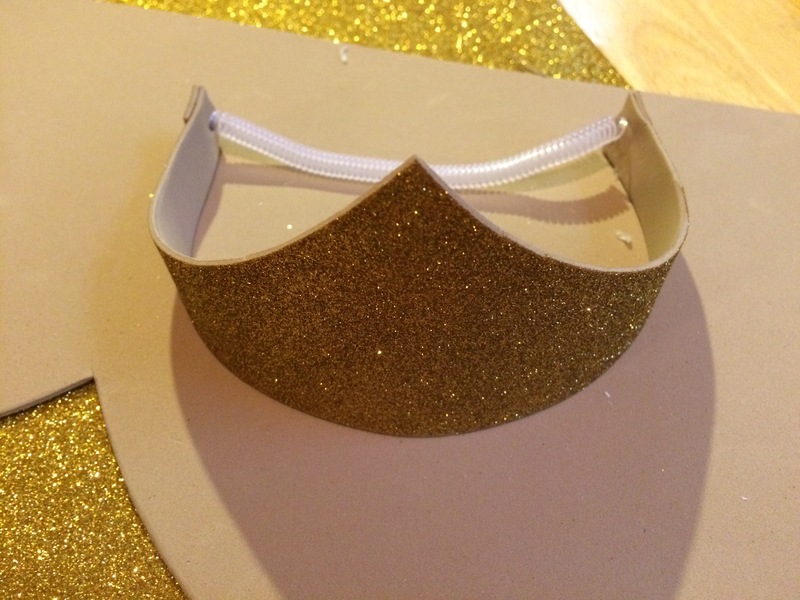 For the Tiara: you can download and print a stencil from the internet. I just made a stencil with carboard. 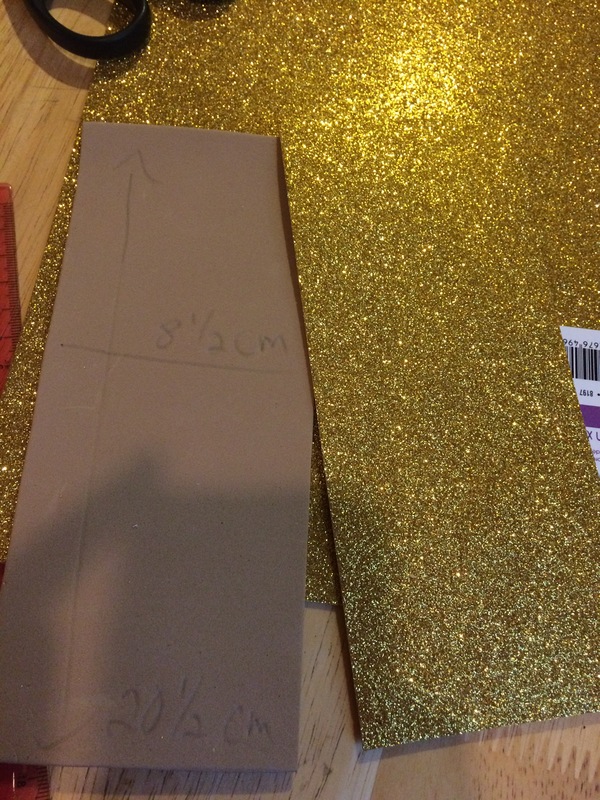 I made it 27 1/2 cm long 7 1/2 cm high in the center and 2 cm high on sides. This varies depending on your measurements. Trace the stencil in the back of the foami and cut it with scissors. 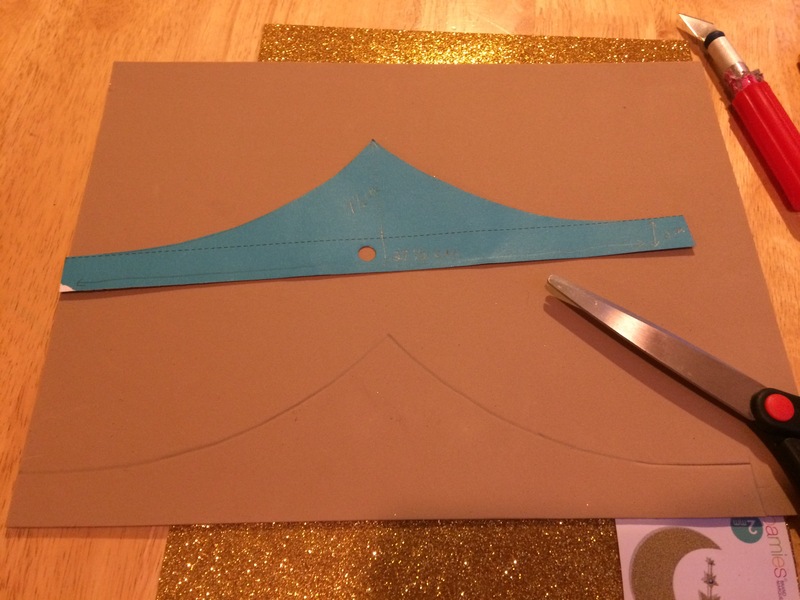 Make a little hole in each side of the tiara and pass a ribbon or elastic through it, cut a piece of foami and cover it in the front. I used some spiral thing that I had from a foami hat. For the bracelets: cut two rectangular pieces of 20 1/2 cm x 8 1/2 cm. 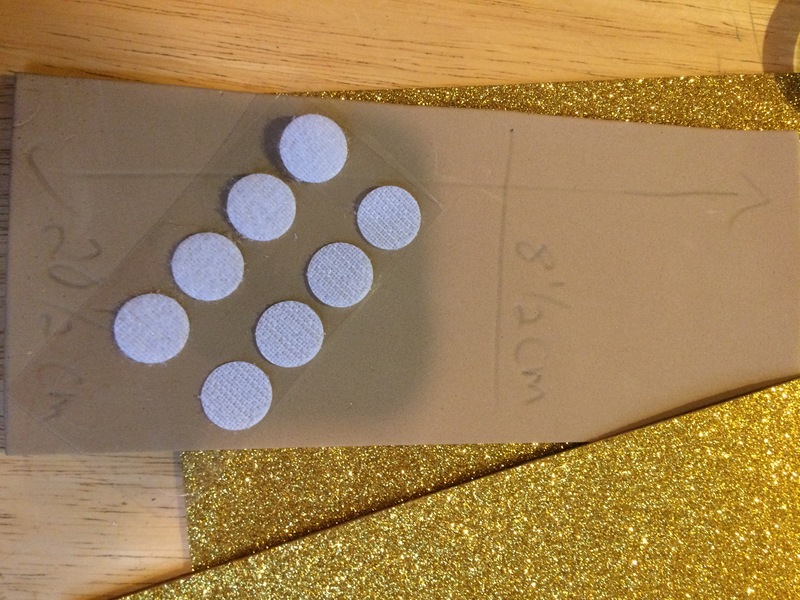 Glue two velcro dots in one side and 2 in the front side to close it. Again the measures varies depending on your wrist size. 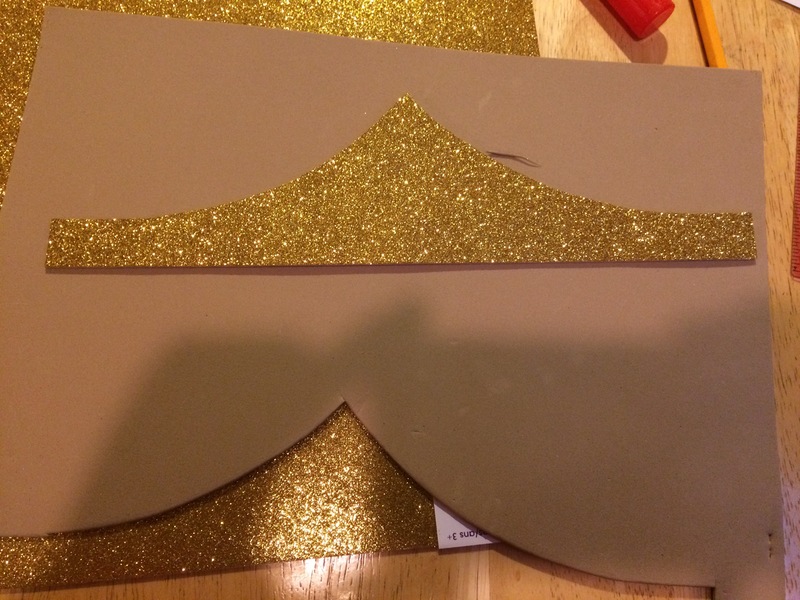 For the Boot Covers: cut two more pieces like the one used for the tiara. Use the same stencil. 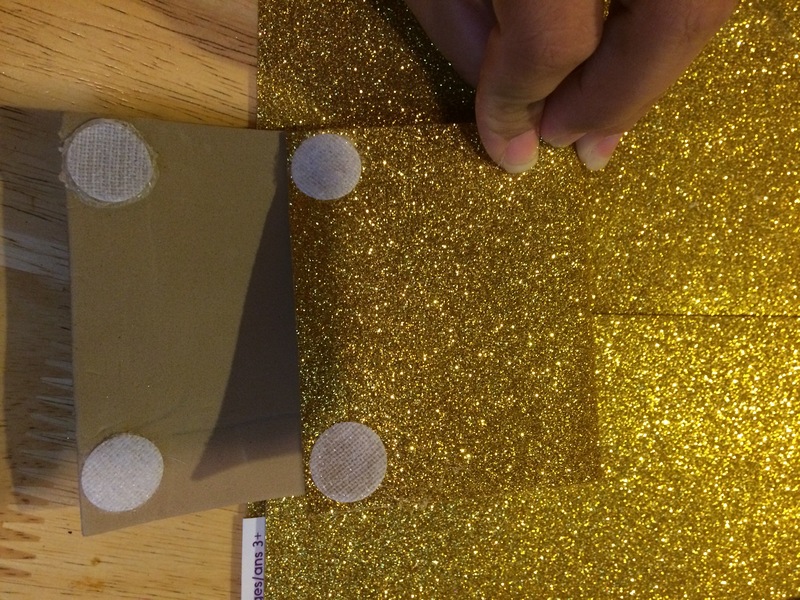 Cut one little hole in each corner and pass a elastic through it. Glu it and cover with a little piece of foami. For the Belt: cut a W shape out of foami. I bent the foami in half and cut a V shape then open it. Cut 2 1/2 cm wide strips out of foami until you reach your wais size. Glue each strip to the other forming a belt. 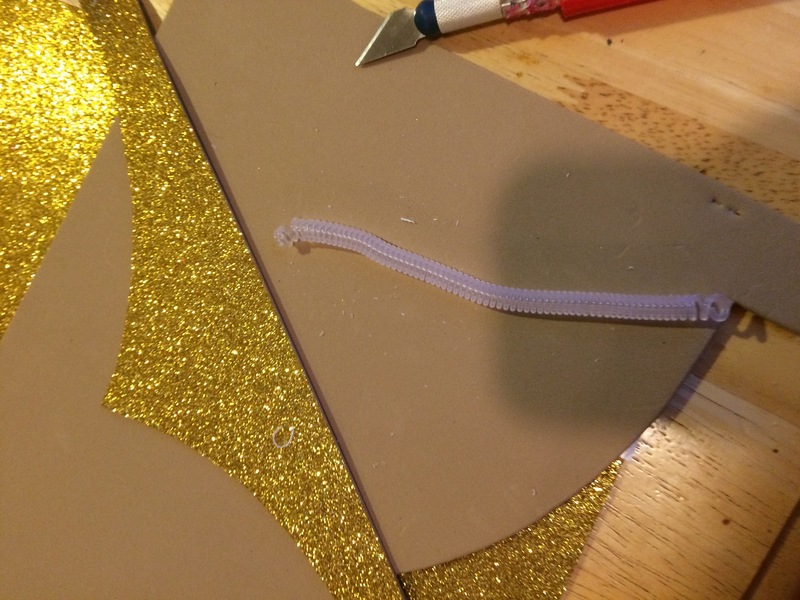 Glue the W shape to one corner of the belt, then glue some velcro dots to close it. 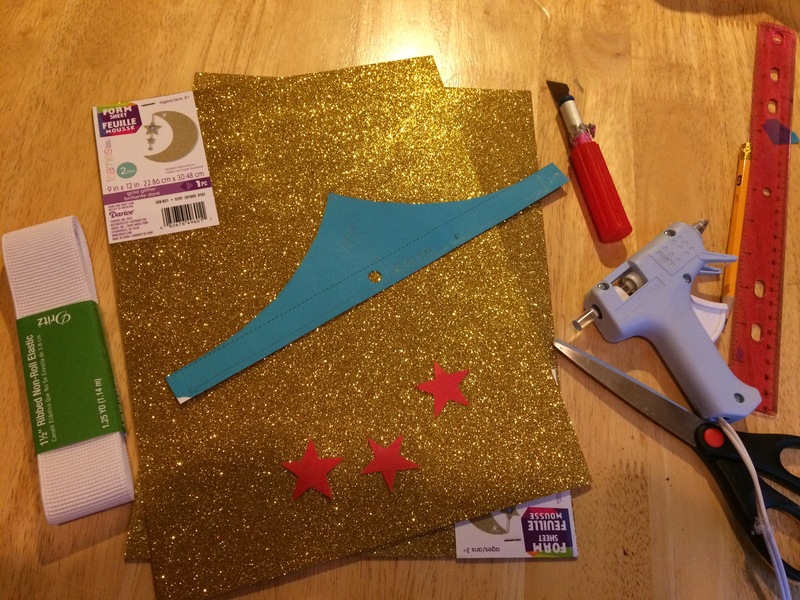 Trace and cut 3 star shapes from the red cardstock, paper or felter. About 3 cm each. 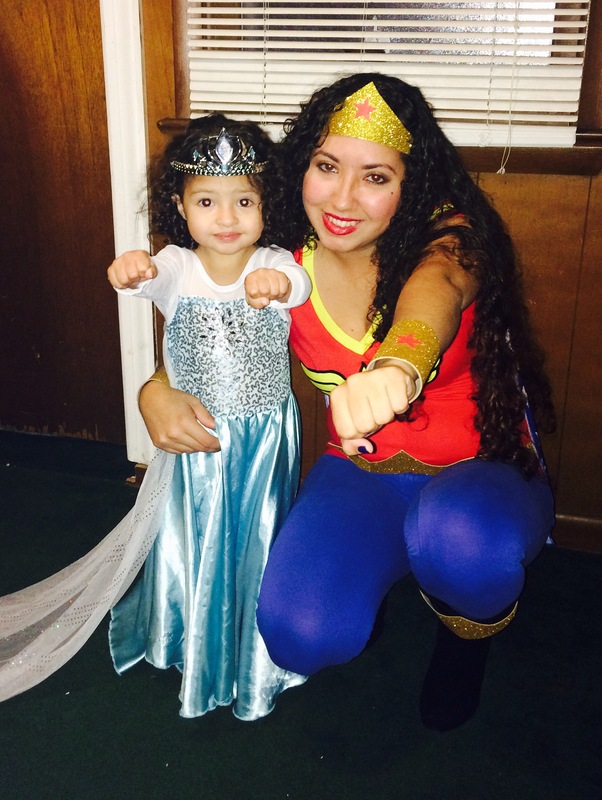 Glue one to the center of the tiara and the other two to the bracelets. 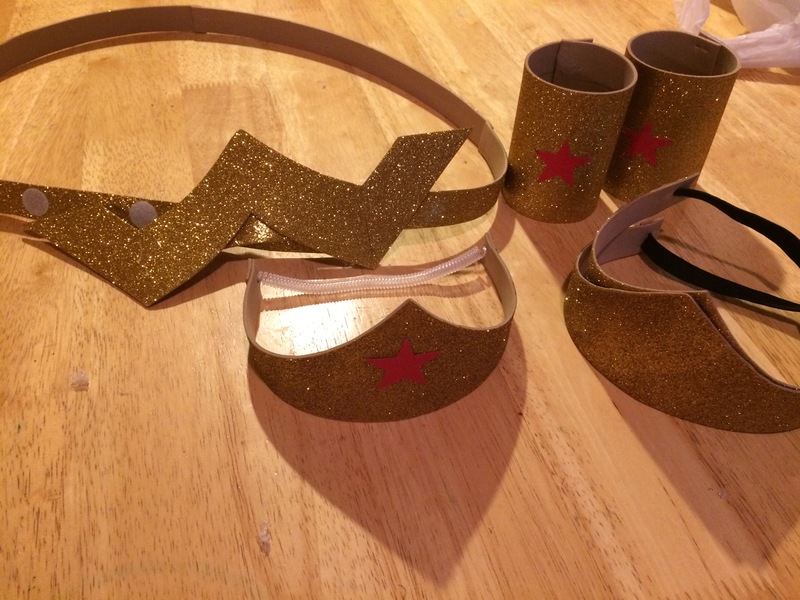 Now you have some cheap and easy to make Wonder Woman accesories. Hope you liked this post. Don’t forget to comment and share this post.